While the Twilight Concert on Tuesday 24 April was relatively small in scale, it was just as important, if not even more important, than the larger concerts. Bigger concerts tend to focus on ensemble work, but the Twilight Concert allows very valuable solo, or duet, performing experience, which is a crucial aspect of music performance. 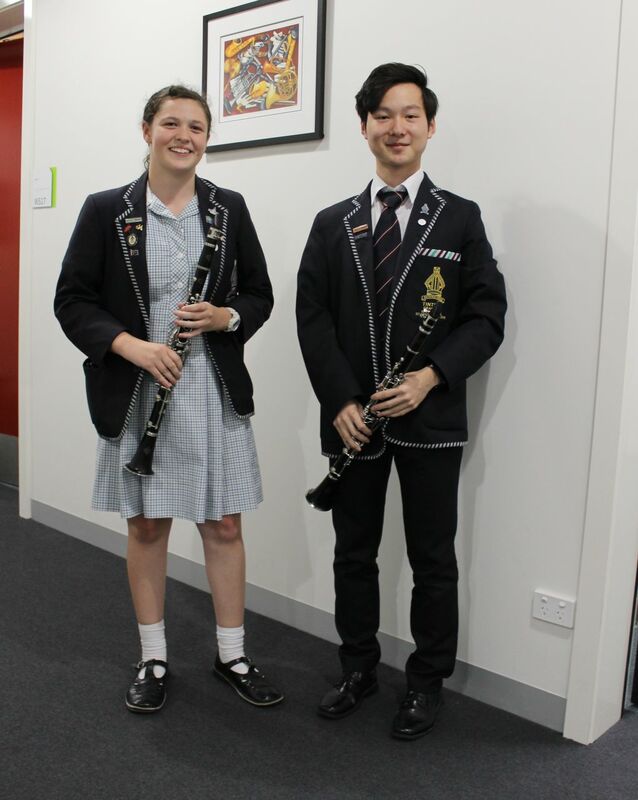 This experience will equip students with even greater skills to take to their ensembles. 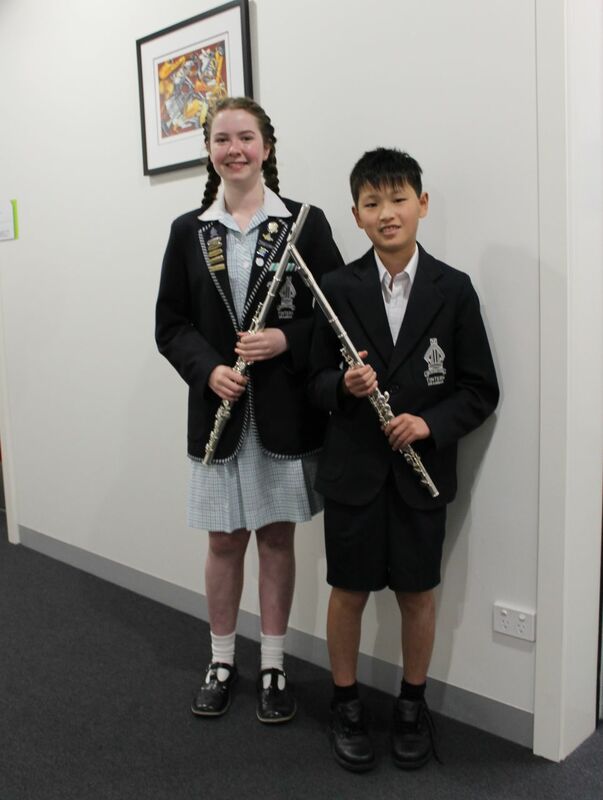 The presentation was filled with excellent performances on a range of instruments, including clarinet, cello, voice and flute, to name a few. A special thanks to Ms McKenzie, Victor Tran and Ron Chen for accompanying the performers. 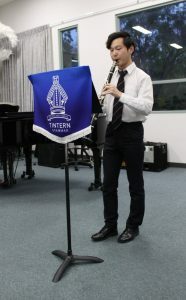 Last Wednesday evening, the 2018 Small Ensembles Concert took place. It featured groups ranging from string trios and quartets to wind ensembles and the Intermediate Jazz Band, ending with an exciting final item – “Swamp Thang”, performed by the Chamber Orchestra. All ensembles presented beautiful music, created by collaboration and hard work. Rehearsing in a group setting is important to the development of any musician, as it provides vital interactive experiences as well as the opportunities to learn and perform new musical styles, sounds, and textures not otherwise explored as a soloist. None of the music shared on Wednesday would have been at the high standard it was without the music staff, who dedicate lunchtimes and early mornings every week to mentor and support us. 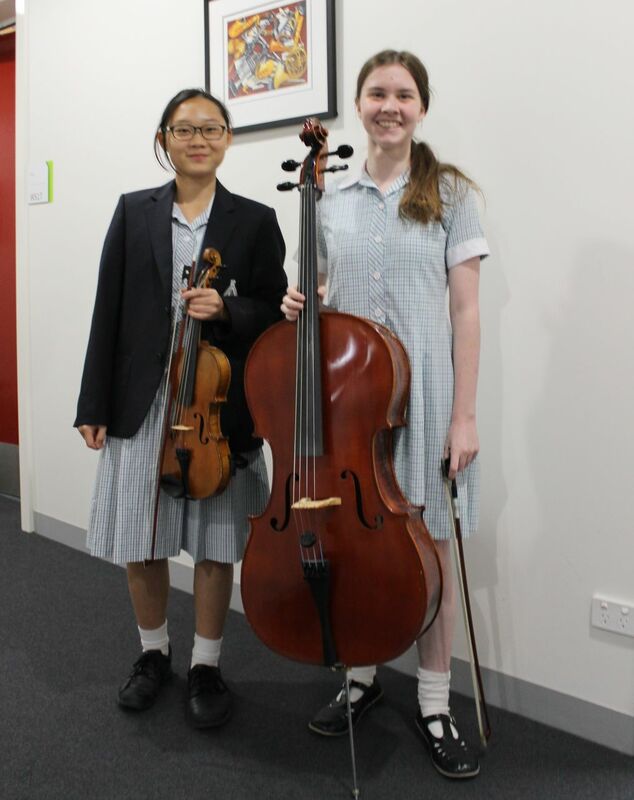 Congratulations to all the students who performed; learning ensemble music is a commitment vastly different from regular solo pieces, and the extra time the students commit to learning parts at home and meeting with their peers pays off every year. Personally, it was my last Tintern Small Ensembles Concert; over the years, I have played with talented people in the Wind Trio, the Clementson Piano Quartet, and this year also the Senior Flute Ensemble, and I would like to thank them all for enriching my musical experience. 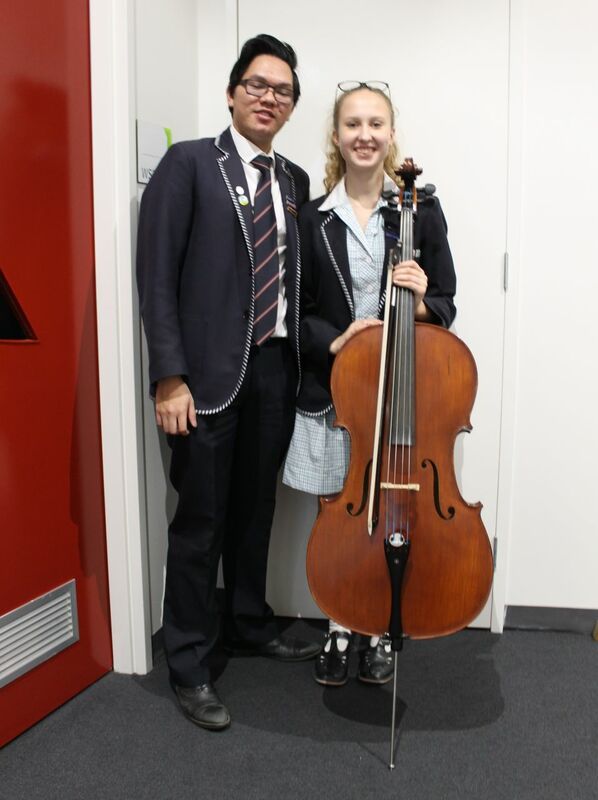 During the Term 1 school holidays, I went on a performing tour with the Melbourne String Ensemble to Switzerland, Germany and Austria. The tour took three weeks from April 3 – 22. 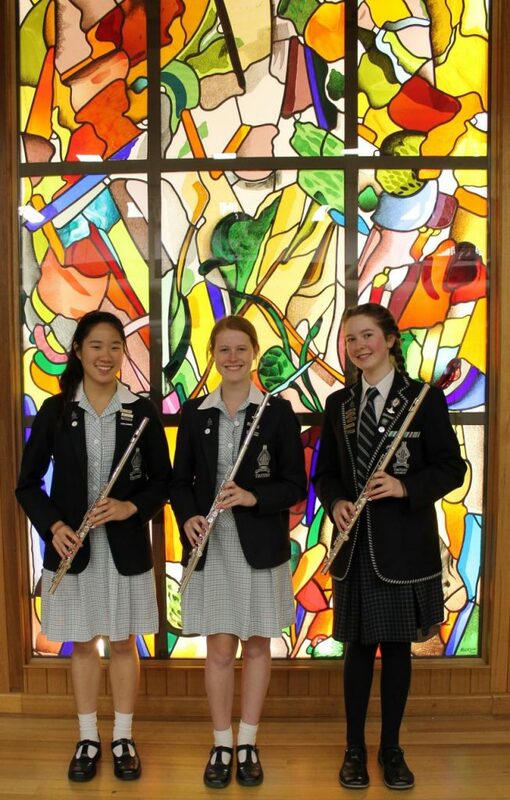 We performed in four concerts, attended masterclasses and did lots of sightseeing! In Zurich, Switzerland, we worked with the Jugend Sinfonieorchester Zurich from the Musikschule Konservatorium Zurich. We had many intensive rehearsals with this youth orchestra, the highlight being performing with them in two professional concert series in the famous Tonhalle Maag. We also had our own rehearsals and concert in the beautiful Grosser Saal of the Musikschule Konservatorium Zurich. In Stuttgart, Germany, we worked with the Junges Kammerochester Stuttgart (JuKO) from the Stuttgarter Musikschule. Our stay in Stuttgart concluded with a combined concert at the Mozart Saal in Liederhalle Stuttgart. We performed pieces by Bach, Barber, Schönberg, Paganini and Sculthorpe. The audience was very appreciative of our performances as they applauded very loudly. I stayed with a German host family during my time in Stuttgart. 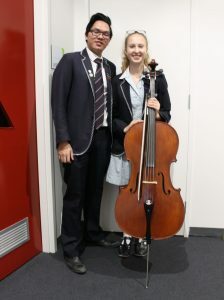 My host family’s daughter, Nina, is a violinist with JuKO. They made me feel very welcome. I picked up a few German words and worked out how to travel by public transport to and from my host family’s house to the music school. I ate a variety of bread and pastries for breakfast. The German pretzels are really tasty! During the tour, there were many masterclasses. 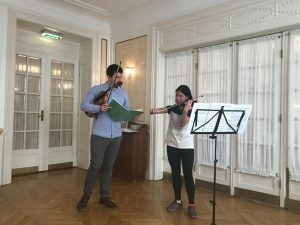 I had the opportunity to perform in two violin masterclasses, one in Stuttgart and another in Vienna. I found the experience very valuable. The feedback gave me a different perspective on how to further improve on the performance of my pieces. We visited many other cities and towns including Lucerne (Switzerland), Munich, Konstanz, Oberammergau, Fussen (Germany), Strasbourg (France), Salzburg, Vienna, Mondsee and St Wolfgang (Austria). 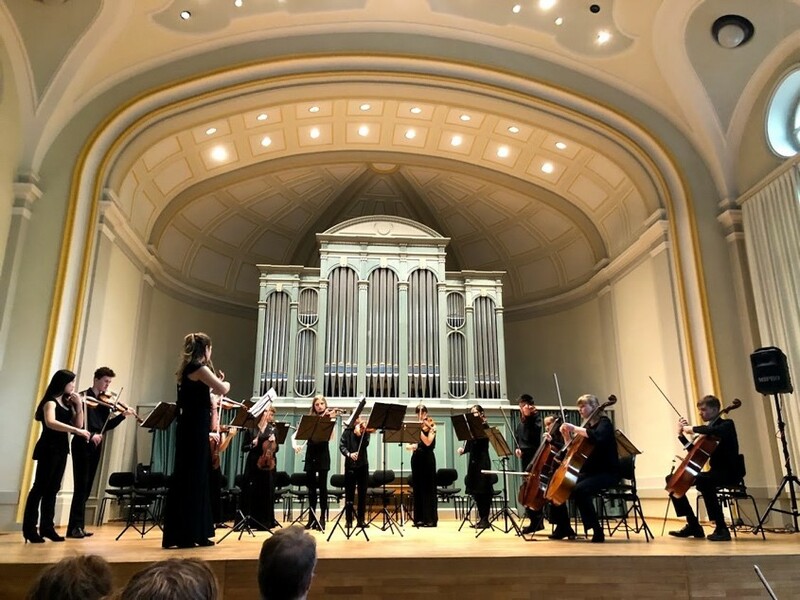 Besides visiting famous castles, abbeys, old churches and museums, I attended a few concerts including performances by the Hagan Quartet, the Vienna Chamber Orchestra and cello virtuoso Wen-Sinn Yang. I also had the opportunity to visit Mozart’s Museum in Salzburg and the Interactive House of Music in Vienna. Our tour ended with watching the wonderful performance of the opera ‘Turandot’ at the Vienna Opera House. I feel very privileged to have had the opportunity to work with Europe’s preeminent youth orchestras and perform in their world class concert halls. The experience was musically enriching and inspiring. 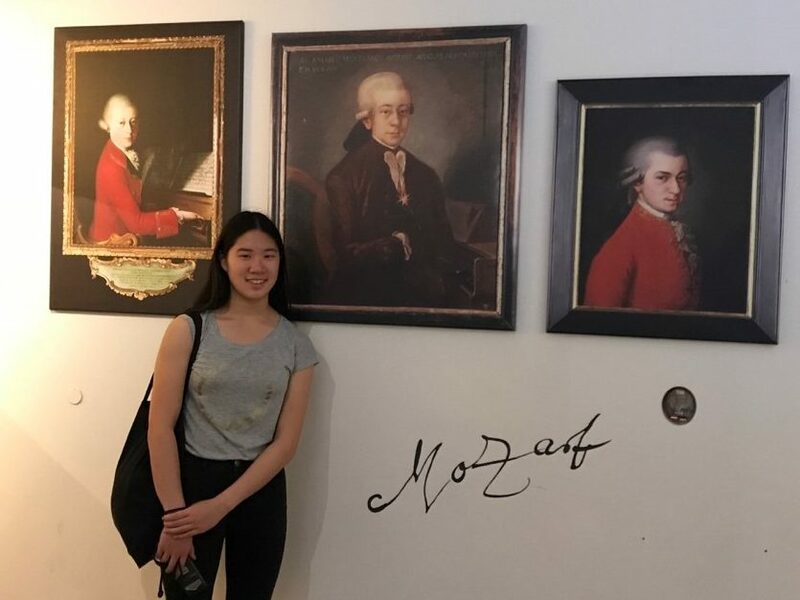 I gained a greater understanding of composers such as Mozart, Beethoven and Schönberg, and the cities I visited gave me a greater appreciation of the rich culture of classical music and history. My aim now is to pursue excellence in my personal music journey. On Tuesday 1 May Tintern Grammar competed in the EISM Athletics Carnival at Lakeside Stadium. 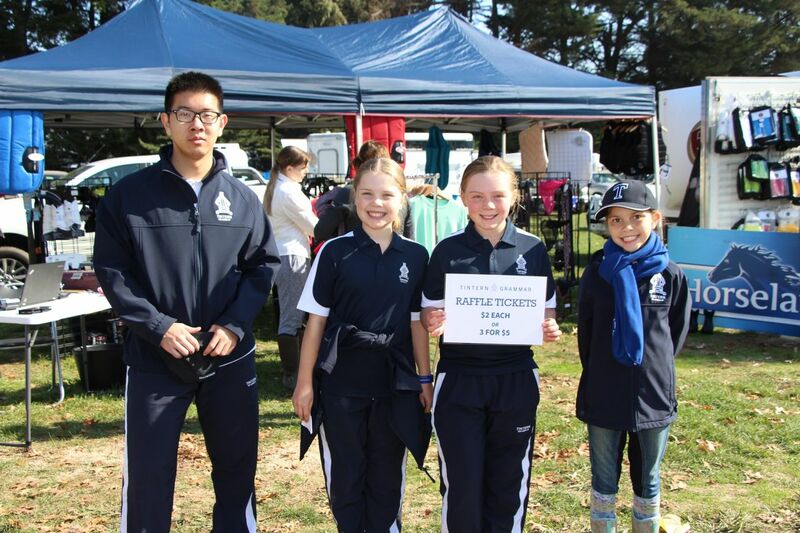 On a perfect day for athletics, our students competed to the best of their ability against tough opposition. 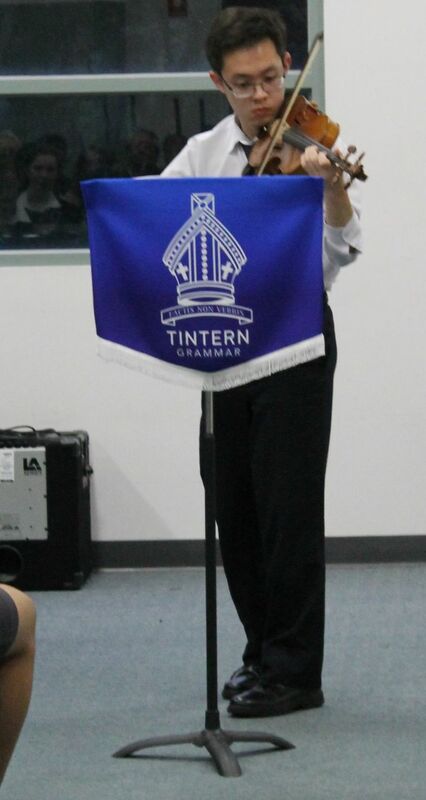 Tintern Grammar finished seventh on the day with a total of 2779 points. Congratulations to all students who competed on the day. Thank you to Ms Vine and staff for assisting on the day. Congratulations to Paul Haasbroek who competed at the Australian Little Athletics Championships on the Gold Coast last weekend. Paul was named the captain of the Victorian team, which is an amazing achievement. He competed in the heptathlon and won the event with a total of 5261 points. During the event, he broke two records: U/15 100m Hurdles and U/15 Heptathlon overall points. Paul won the event by 500 points; a normal winning margin would be 60-70 points. Congratulations Paul on this outstanding achievement. 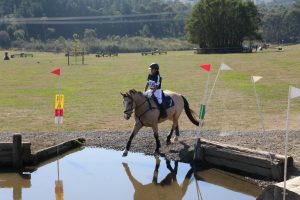 18th Annual Tintern Grammar Inter-School Horse Trials a weekend to remember! The 18th Annual Tintern Grammar Horse Trials last weekend was an amazing and fun event for everyone who took part! 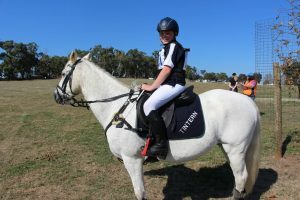 The team spirit and positive attitudes were incredible as the Tintern team threw on their navy and white uniform and represented the school with their horses. As you walked around the venue, all you could see was smiles! The atmosphere was amazing, as different schools and teams mingled and created the strongest sense of sportsmanship and friendship. In terms of the Tintern Team, we walked away with smiles, rosettes, tears but most of all, the feeling of accomplishment and passion for what we do. Some of the girls who placed did so at their very first competition! This was an amazing experience for them and the reactions from the team when they walked up to collect their rosette from Mr Fry were truly memorable. For those who did not place, or didn’t have the greatest results, all was forgotten as we supported each other and celebrated our relationships with each other and our horses! Overall, the Tintern Grammar Horse Trials was an incredibly fun weekend, with members of other schools commenting on its cohesiveness and friendly atmosphere. 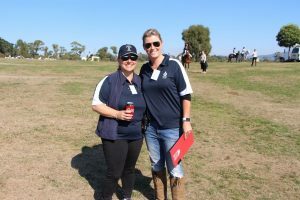 As Equestrian Team Captains, we are so proud to be able to be a part of such an amazing, dedicated team and we are so grateful for everything everyone did to help out at the event. 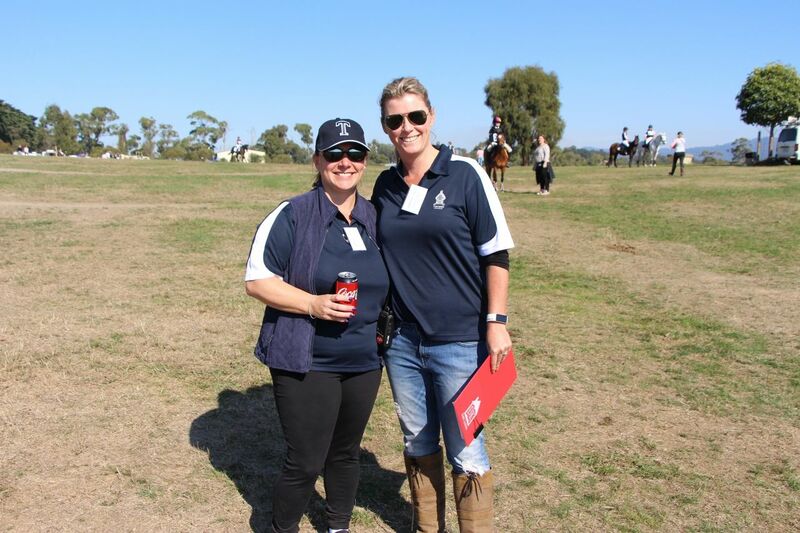 From the wonderful, hard-working Friends of Equestrian committee to our Team Coordinator Mrs Bezaire and all of the volunteers; all of their work and commitment made the event what it was! 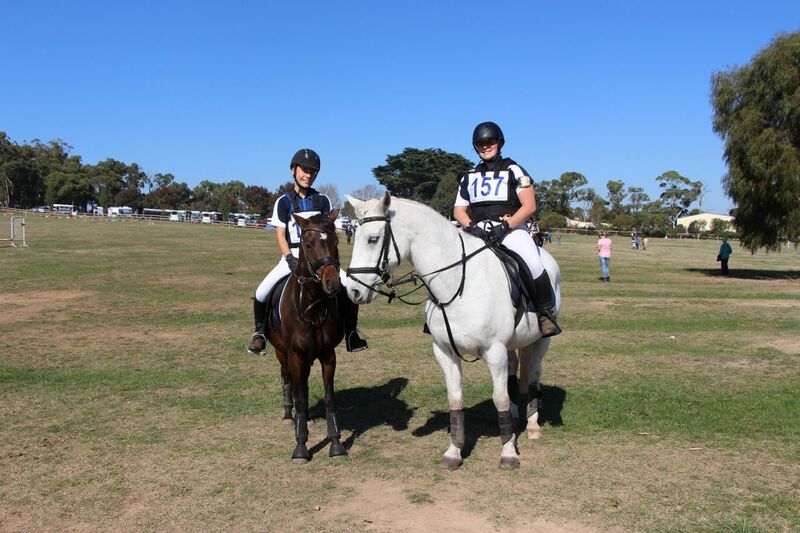 Congratulations to our 13 riders who competed at the Horse Trials on 28 & 29 April. Mr Fry and I were so proud of the way you all represented our school, rode in a spirit of good-sportsmanship and conducted yourselves with grace and goodwill throughout the weekend. 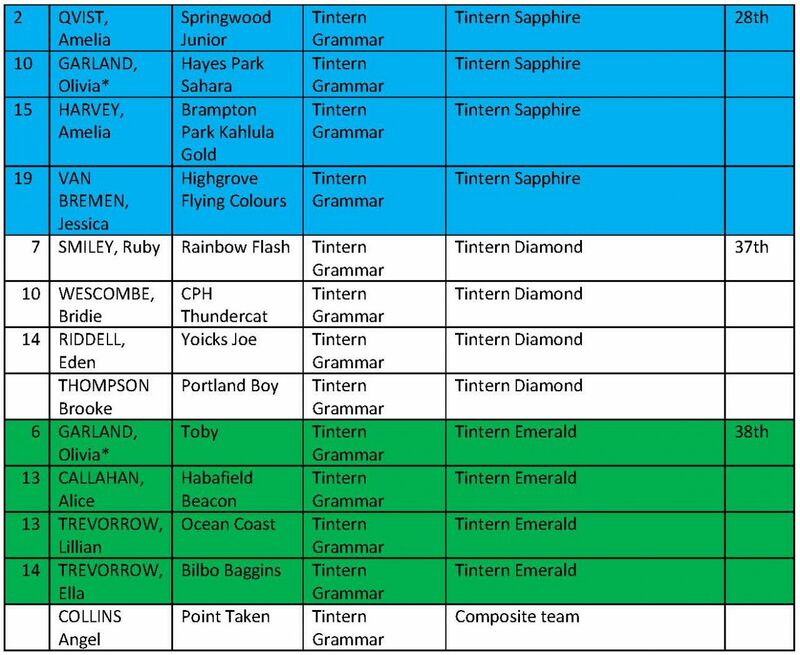 Brooke and Darcee have covered all of the important thank yous in their article above, but I will make particular note of our individual place getters on the weekend. 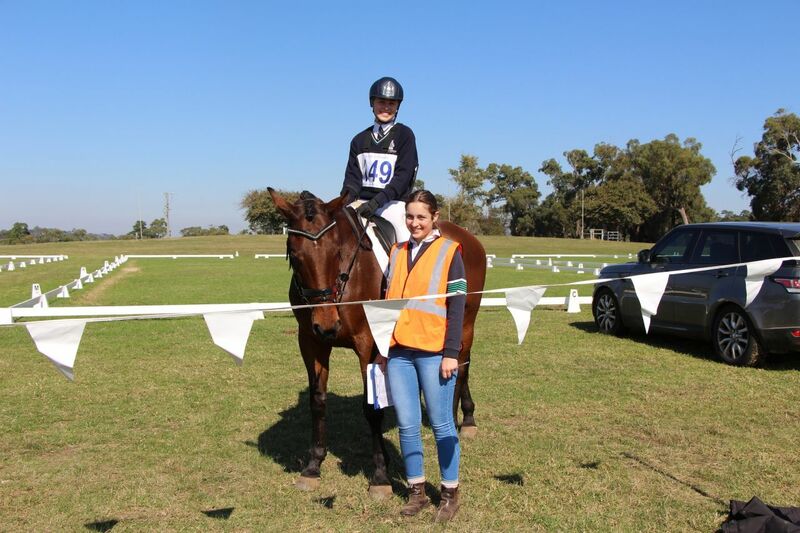 Congratulations to Ruby Smiley (Year 5) who placed 7th in her 50cm section, Olivia Garland (Year 10) who placed 6th in her 65 cm section and Amelia Qvist, who placed 2nd in her 65cm section. Well done, girls! 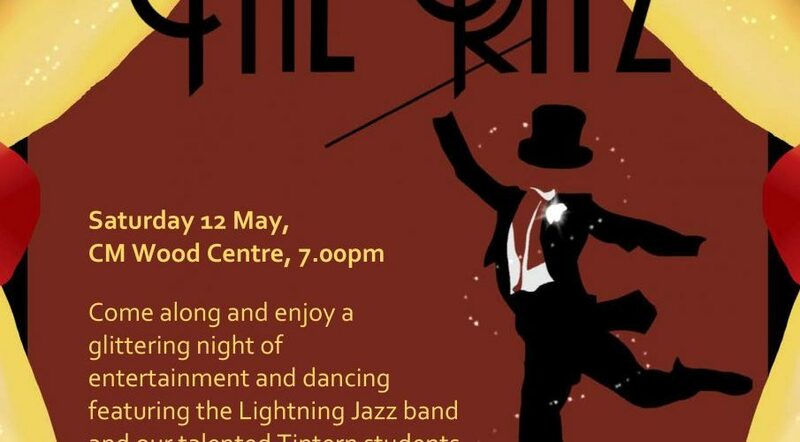 You are invited to attend the 2018 Tintern Grammar Jazz Night. It is once again shaping up to be an exciting and fun-filled evening. 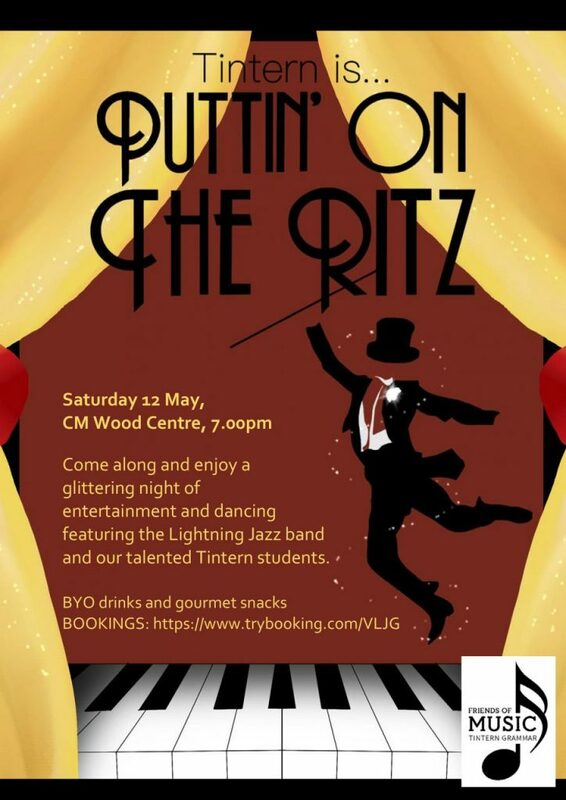 Held on Saturday 12 May at 7pm in the CM Wood Centre, come along and enjoy a glittering night of entertainment and dancing while supporting our music students. Bring along your own drinks and gourmet snacks. Our ELC and Junior Schools Mother’s Day stall will be held on Wednesday 9 May from 8.30am to 1.30pm in the Southwood Centre Computer Room. Gifts range in price from $3 to $15. 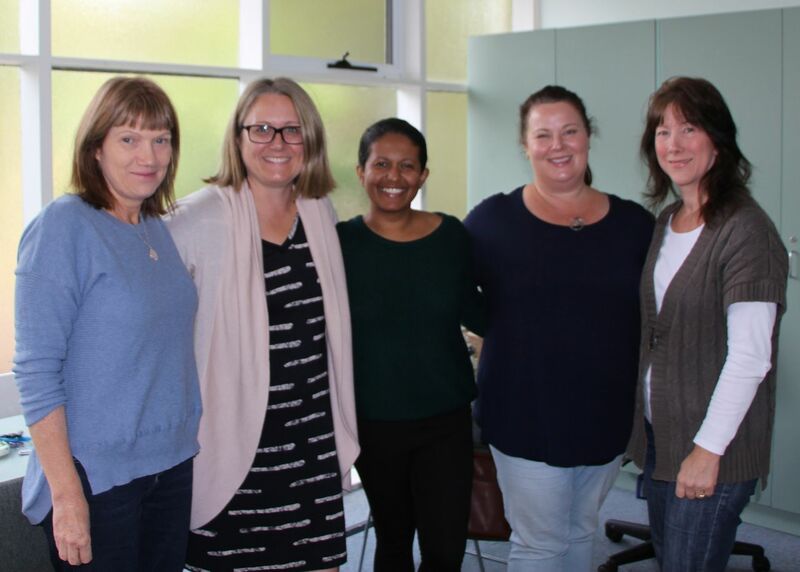 A very special thank you to the incredible Mothers who spent Wednesday 2 May wrapping and preparing the gifts for the Mother’s Day Stall. Your hard work was greatly appreciated by all. If you would like to volunteer to assist on the day, please contact Haidee Wallace on 0417 052 273 or email wallace.haidee@gmail.com. If you have a WWCC, please send an image of the front and back of your card to Community Relations, or alternatively, bring your card to any Tintern Reception to be copied. If you don’t have a WWCC, it is free and easy to obtain a voluntary check. You can apply online through this link: http:www.workingwithchildren.vic.gov.au/. 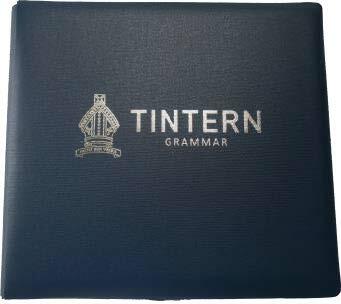 Thank you to the more than 50 wonderful Alumni who will be attending the Tintern Grammar Career Night on Thursday 17 May from 6.30pm. We have an incredible group of people attending from a broad range of industries. This event is ideal for Year 9 to 12 students and their parents/guardians, however, all secondary school students are welcome to attend. It is a wonderful opportunity to begin or further exploration of Careers and chat with past students who are working in Careers they love, studying their favourite subjects at University or TAFE, or taking time out to explore different career options and gain work experience. There will be the opportunity to spend time with our Alumni Career Mentors who share passions or may ignite new ones for our students. This year representatives from the tertiary sector will be in attendance including the University of Melbourne, Monash University, Deakin University, RMIT, Swinburne University, ACU, La Trobe University and Box Hill Institute. A guide has been created to help navigate the Careers Night and learn more about our Alumni Career Mentors and the tertiary institutions. You can download the guide by selecting here. 6.30pm – 7.00pm Exclusive time with representatives from the tertiary institutions. 7.10pm – 8.00pm Alumni Career Mentor booked sessions including one option with the tertiary institutions. Access the event booklet by selecting here and use the index to learn about our Alumni Career Mentors and the industries they represent. Visit https://www.trybooking.com/UQFS to register your attendance and follow the process to book three sessions with Mentors and one session with the tertiary institutions. After registration is complete, you will receive an email listing the times you are meeting each of your Mentors. Please keep this safe as you will need it on the night. Contact Heather Ruckert in the Careers Department on 9845 7833 or email hruckert@tintern.vic.edu.au. 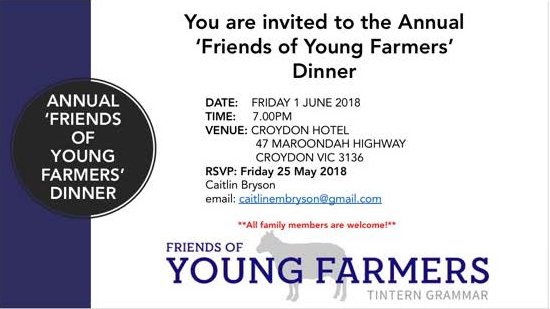 You are invited to our Annual Friends of Young Farmers Dinner on Friday 1 June 2018 at 7.00pm at the Croydon Hotel. Thank you to all the wonderful volunteers who spent Saturday 28 and Sunday 29 April at the Horse Trials at Wandin Park. 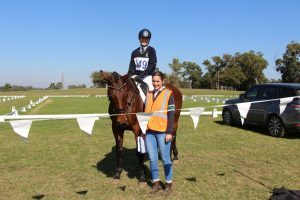 It was the Friends of Equestrian 18th annual inter-school Horse Trials and was another incredible weekend for all involved. 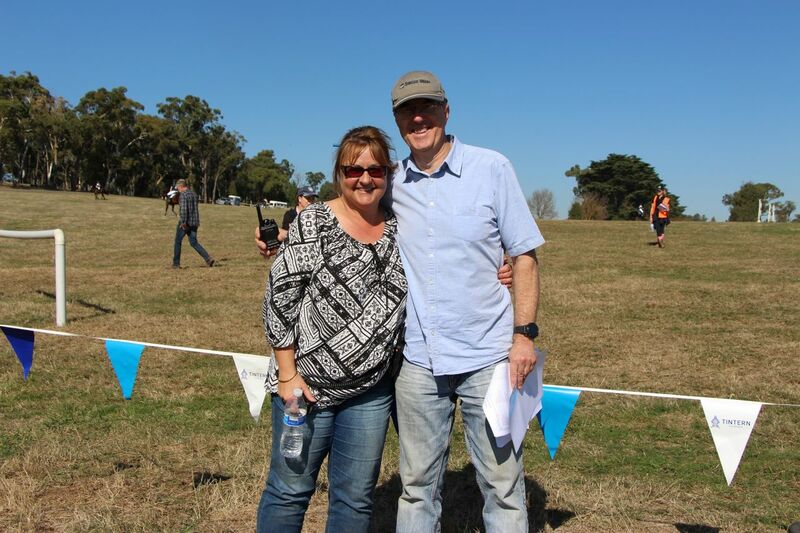 This prestigious event once again attracted nearly 300 competitors and around 500 plus families and spectators from all over Victoria. 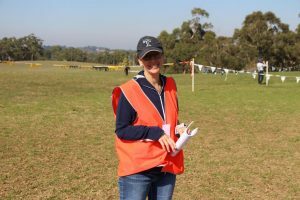 A special thank you to the dedicated volunteers on the Friends of Equestrian Committee who spent many hours preparing and managing the 2018 Horse Trials. Your expertise and commitment has been invaluable and we are incredibly grateful for all that you did. 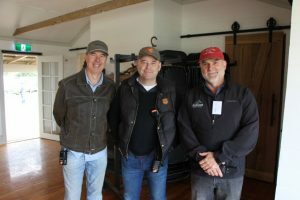 Thank you also to the Friends of Music Committee who ran a delicious BBQ for the Horse Trials. The time and effort you all contributed to this was greatly appreciated. 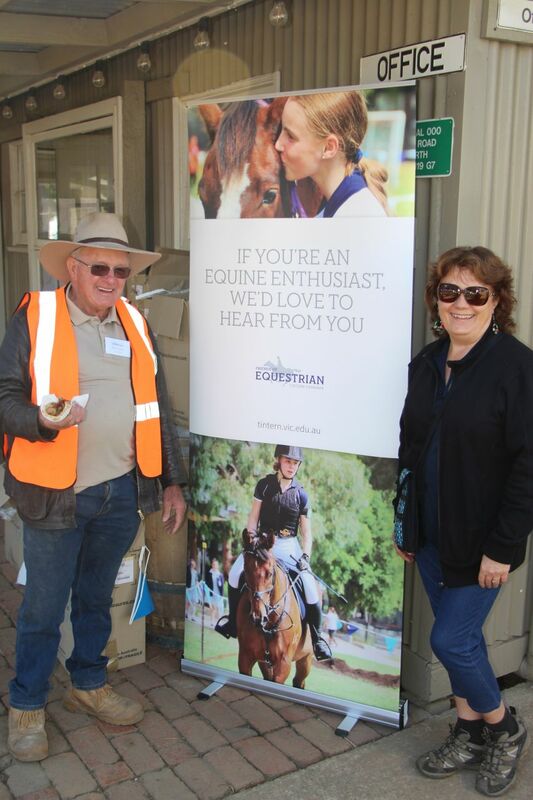 Or scroll down to read the full report from the Friends Of Equestrian President, Sandra Garland. 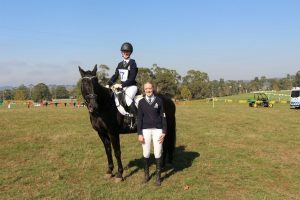 Friends of Equestrian hosted on behalf of Tintern Grammar the 18th Annual Tintern Grammar Interschool Horse Trials Championship at Wandin Park on Saturday 28 and Sunday 29 April 2018. 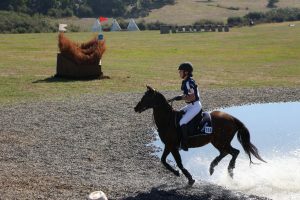 The weather was especially kind for eventing, no rain, not too hot and the ground has softened a little due to rain in the previous week. Conditions were perfect and the committee ready to go! This event was attended by over 95 schools with 270 riders entered. It was run over two days and involves 3 phases the horse and riders must complete. 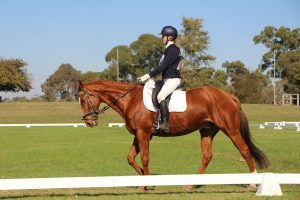 At the rider/horse combination appropriate level, a Dressage test is first ridden, this is completed in a dressage arena measuring 60×40 and judged by a Dressage Judge who watches each test and marks the horse/rider’s performance of that test and gives each movement a score. A jumping phase will be next, either Show jumping or Cross Country. 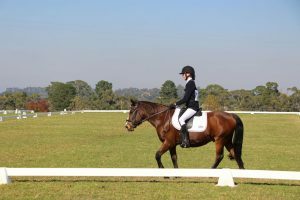 Show jumping usually consists for 10-12 show jumps on an arena and the aim is for the rider to gain a clear round (not knocking any show jump rails down, 4 penalties for each one) and within the optimum time frame with no refusals of the jump. 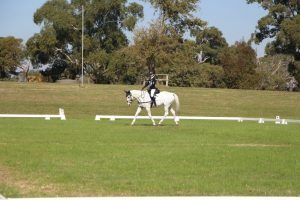 Cross country, always a challenge for many riders, the aim here is to compete the course in the optimum time (not too fast or too slow) and have no refusals at the XC jumps (ie the horse stops or moves backwards away from the jump) the penalties for this are 20 points, often enough to drop a rider out of the placings. 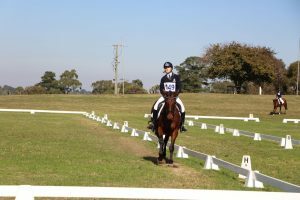 3 refusals at one jump or 4 over the course result in the elimination of the rider, so it’s always wonderful for the riders to complete the XC course without penalties or elimination! This event is a team event consisting of 4 riders from a school (and in some cases composite teams are formed if schools are unable to field a complete team). The 3 best scores count towards the team score. The best score wins the perpetual trophy for the school to keep on site for 12 months. 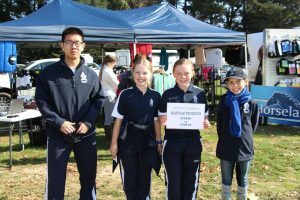 This year it was won by Melbourne Girls Grammar School MGGS Panthers, followed by Hillcrest College in second, Beaconhills College 3rd, Methodist Ladies College 4th, Toorak College 5th and Flinders Christian College in 6th place. In addition to this team event we are running under Equestrian Australia Eventing rules and therefore we are able to provide riders who ride 80cm and above with the opportunity to accrue points towards being included in the National Interschool eventing team from Victoria. We provide one of 5 opportunities in Victoria for this and we are the only School only event to do so. 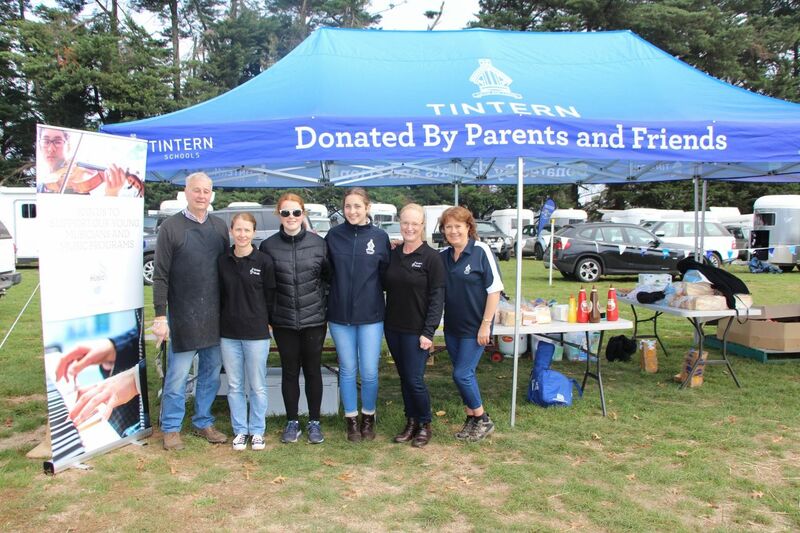 This has become a prestigious event on the Interschool eventing calendar and as such the Tintern name is now admired and respected in the Eventing community. 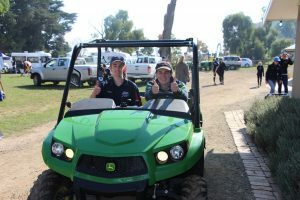 This year due to a wash out in an Event in Haytesbury we were asked by Equestrian Victoria if we would be willing to run a CNC* class for open riders to give them to opportunity to qualify for the Melbourne 3 Day event. 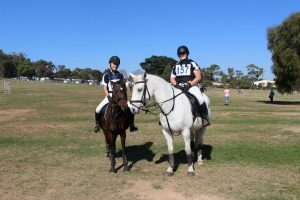 After consultation with the Committee and the school, permission was granted for these riders to have the opportunity to qualify on the same course our interschool CNC* riders were riding. We had 9 additional riders enter this level and they were extremely grateful for the opportunity to qualify for the Melbourne 3D. 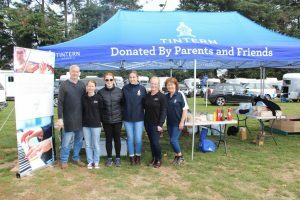 The Committee were a hard-working bunch but could not have achieved what we did without the extra help and support of the other Tintern riders parents, many of who stepped up incredibly to work hard in set up and all weekend. Our sincere thanks go to you for helping us run such a successful event. 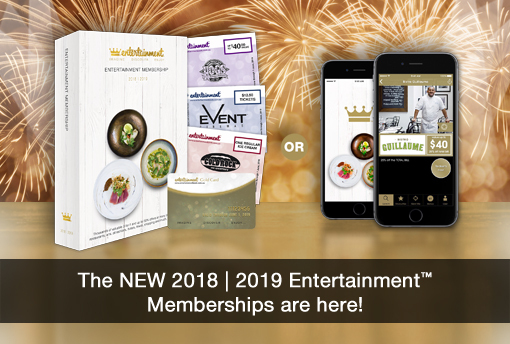 Entertainment Book – a wonderful Mother’s Day Gift! Mother’s Day is fast approaching and the Entertainment Book is the gift that keeps on giving. Filled with valuable up to 50% off and 2-for-1 offers for the most popular restaurants, attractions, shopping, travel and more. The book is current from purchase until the end of May 2019. Careers Night – Bookings Now Open! ‘Find your Future Self’ at Tintern Grammar’s Careers Night on Thursday 17 May from 6.30 to 8.30pm in the CM Wood Performance Centre. 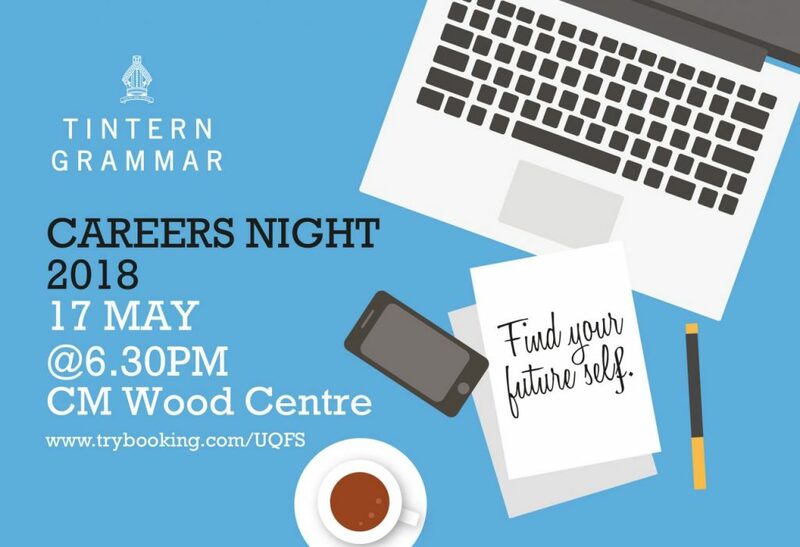 This evening is a wonderful opportunity to begin or further explore Career options and chat with past students who are working in Careers they love, studying their favourite subjects at University or TAFE, or taking time out to explore different career options and gain work experience. There will be the opportunity to spend time with our Alumni Career Mentors who share passions or may ignite new ones for our students. This event is ideal for Year 9 to 12 students and their parents/guardians, however, all secondary school students are welcome to attend. This year representatives from the tertiary sector will be in attendance including the University of Melbourne, Monash University, Deakin University, RMIT, Swinburne University, ACU, La Trobe University and Box Hill Institute. Access the event booklet here and please use the index to learn about our Alumni Career Mentors and the industries they represent. 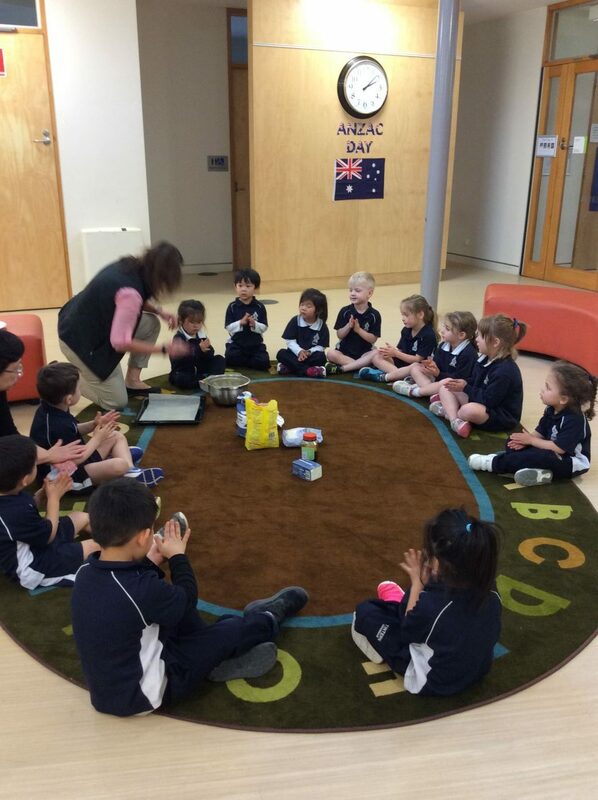 On Tuesday 24 April the ELC children came together to participate in learning experiences focused on ANZAC Day. We began by reading a story together about a family who farewelled their father to join the First World War. The story has the family at home baking ANZAC biscuits to send to the father in a care package. 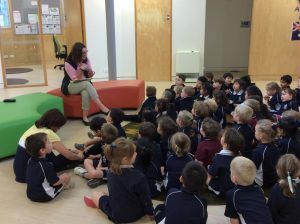 During a discussion about the story, the older children were able to identify that baking the biscuits had been a kind thing to do. This led into an afternoon, where the children rotated through four activities. The children baked ANZAC Biscuits, made Poppies – a symbol of hope, an Australian Flag and coloured in pictures of ANZAC scenes of poppies and a soldier at a Cenotaph. 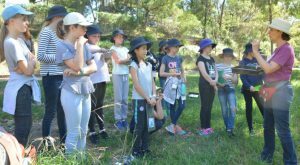 These experiences allow children to connect what they are learning at school, with what they see in their community, as many children watch the parades on TV and attend ANZAC Day Services. 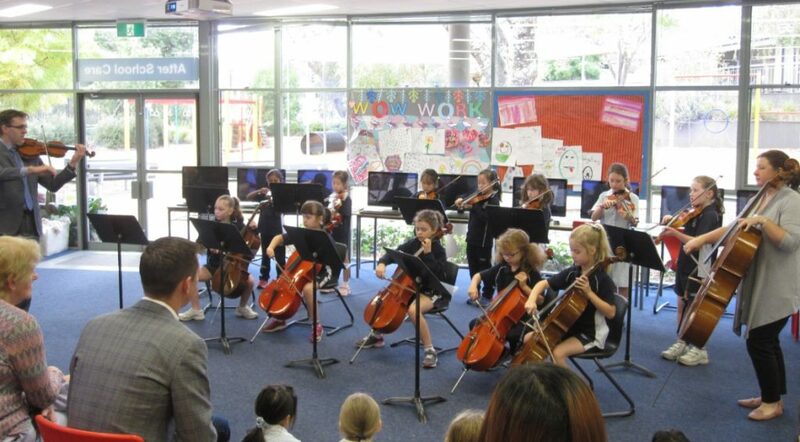 At the end of term 1, Mrs Wagner enjoyed her last concert by the talented Year 2 Strings group. She had tears in eyes as she listened to them perform. Yellow Hat Thinking – What are the positives? Many people are trying hard to prevent the problem of pollution, water wastage and the manufacturing of harmful materials to the environment. What can this generation do to prevent this problem? CERES is striving to change the mindset of this race and promote environmental safety by educating the younger generation about wasting water and the damage caused by decomposition of plastic and cigarettes to the habitat of helpless animals. 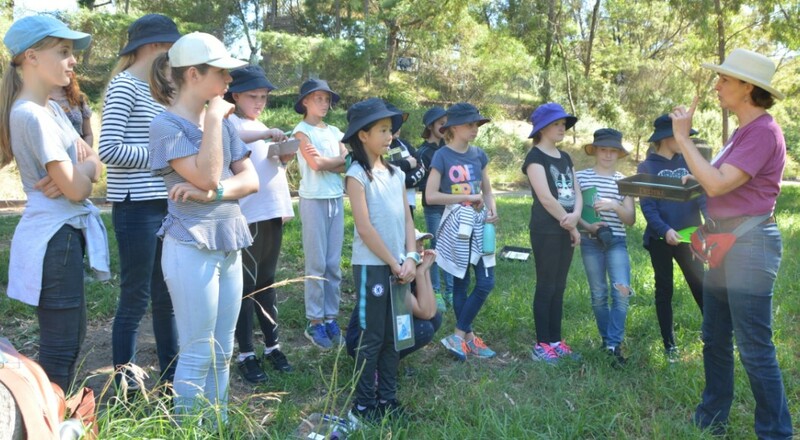 Societies such as Environmental Defence Fund, Scouts and the Australian Conservation Foundation are just a few of the many foundations that devote to saving our surroundings and prevent this problem. Local super-markets and cafes are also committing to reduce plastic manufacturing by completely banning plastic bags or charging over fifty cents per plastic bag. They are also introducing mesh or even paper bags instead. We can all contribute to saving this earth by making minor differences like carefully and thoughtfully disposing our rubbish and being mindful of how much water we use. This will make a huge environment in the future. Be part of the solution, not the pollution! CERES raised two issues that are problems for us. How can we preserve our waterways? Think about it. Only one percent of the Earth’s water is fresh water, available for drinking and watering our crops. Our generation is wasting water and who’s going to make the first move to make a stop to it; the next generation or us? Are we relying on people who are not even born yet or can we change our habits? In thirty years where will we be; paddling on life boats around countries ceasing to exist, or actively making a difference to our planet? A betrayal to our ancestors. The second problem has to do with an invention to change lives for better or for worse. Plastic. The more we use the more we produce. Ask yourself – why? Why do we produce three hundred million tonnes of plastic each year? Since the 1950’s we’ve produced plastic weighing the equivalent of a billion elephants. This is a massive problem! Chemicals are changing our lives. Plastic is ruining our environment. If we ignore the problem we are wearing rose coloured glasses. Let’s take them off and finally make a difference. 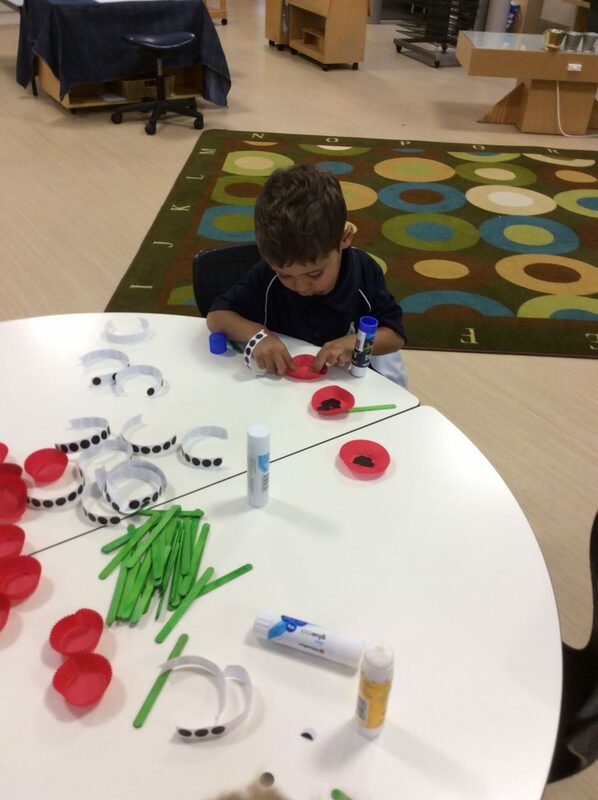 We put on our red hats and had a think about how we feel regarding a situation that grows worse and worse every day. The pollution of our most important resource; Water.Red Hat Thinking – How do we feel? The first thought that came to mind was that we feel ashamed of the human race for not caring, or standing up as one to turn around this rubbish dump that the world has become. It would only take a minuscule change to their daily lifestyle like simply reducing the amounts of unnecessary water we use and just stop using this fatal invention that so many people carelessly litter with every day; plastic. Just doing this simple task that we beg of you could impact the history of the earth; our wonderful planet that people treat like there is another to go to. The question is, is there? We are immensely worried that there is so much pollution in the air that if it weren’t for our lungs, there’d be nowhere to put it all. We feel that people are becoming so lazy and disrespectful that the biggest threat to our planet is belief that someone else will save it. We’re concerned that any person would be sent to jail if they poisoned another’s food, air or water, but nobody has ever tried to stop the factories that do the exact same things to the earth. So it’s not a job for tomorrow, it’s not a job for someone else – It’s up to us. Be part of the solution to pollution. CERES is located in Brunswick East by the side of the Merri creek. The land was originally the land of the Wurundijeri people who lived and hunted there. Before CERES became an environmental park would you believe it was first a bluestone quarry and then a garbage tip! 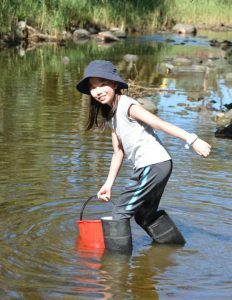 CERES is now a wonderful picturesque environmental habitat where they teach children and adults to take care of their surroundings, the waterways and our environment. CERES attracts 400,000 visitors each year because of their educational programs. Littering and water pollution is becoming a monumental worriment around the globe and we have a few ideas to help stop this environmental disaster from growing bigger every day. One recommendation is to hold fundraisers for environmentally friendly societies such as CERES. If we hold fundraisers for such societies we can help them expand or persuade the government to take action about these problems. Another approach to contribute into solving this problem is to Reduce, Reuse and Recycle more instead of just dropping your litter onto the floor and not picking it up or putting it in the wrong bin. If we recycle more, there will be less plastic produced every day and more plastic will be reused. Our last recommendation is to install more greywater systems around the world in people’s houses so more water will be reused and there will be less water wastage. 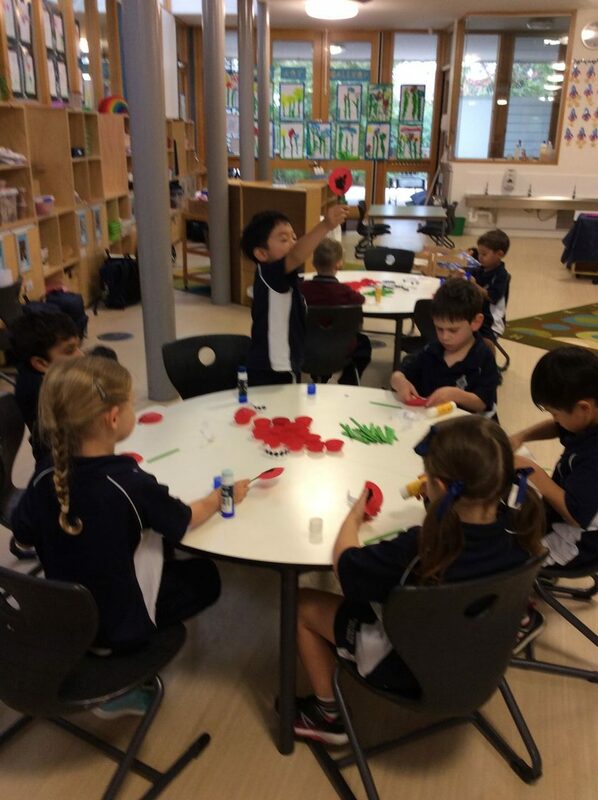 Term 2 has arrived with a bang and 5A has hit the ground running. Science is the name of our game this term and what better way to begin with a visit to Scienceworks? We learned how the 23.5-degree tilt of the Earth affects the seasons around the world, looked at the night sky and constellations, got our hands on some robotics and technology of the future and examined how knowledge of the Human Body can enhance our results and performance in Sport. The students will now continue to follow an area of personal scientific interest, investigate, explore, research then present their findings and understanding to the public at our spectacular Science Fair on June 5th. In addition, Year 5 girls will be undertaking some hands-on experiments to learn about the importance of the scientific method, which includes the scientific technology components of CREST – the CSIRO Primary School Science and Technology Education initiative. Now that is something to get STEAMED up about! 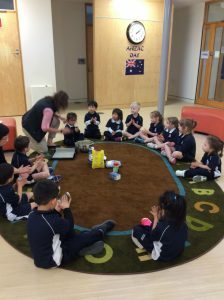 The girls were initially a little awkward about singing this to each other, but as the song progressed they soon reached an impressive level of passion in their singing and dancing and the energy in the room was very evident. It was wonderful to see our girls working together, encouraging each other to give it a go and not worrying about how they might appear to others and enjoying being free to be themselves during this experience. 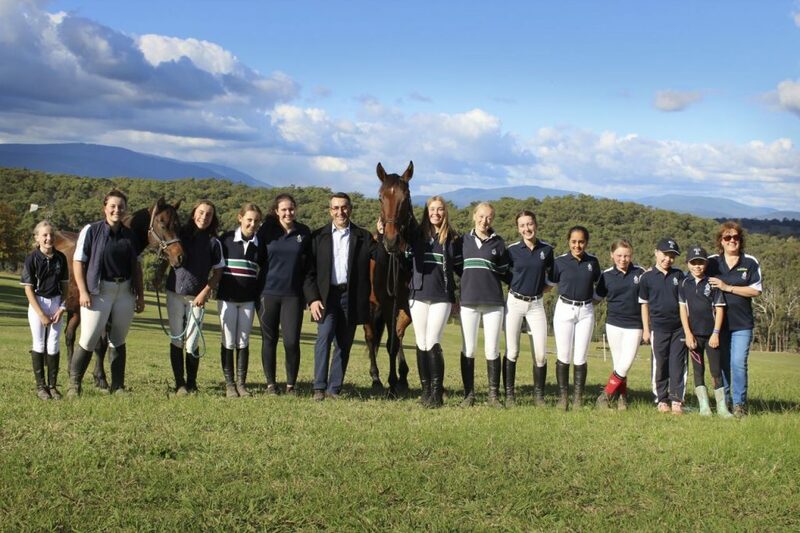 I certainly found it a wonderful experience as I am sure our girls did as well. Watch the video here. This week our Year 9 students attended an introductory session on organising work experience for 2019. 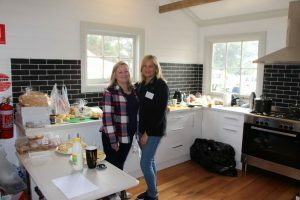 They were encouraged to start considering where they would like to apply and to do so as early as possible as some of the more popular places fill up well in advance or may have a lengthy application process. On the Year 9 Portal page there is a copy of all the information that was given to the students including dates for 2019 work experience as well as the process to follow. A large group of our Year 7 girls have been very faithfully attending the farm each lunchtime to prepare our sheep for the upcoming Bendigo Wool and Sheep Show. Farmer Gavin remarked that they have all shown themselves to be very mature in their approach to handling the sheep and are also showing strong teamwork as they encourage and help each other. In Pastoral sessions, our Year 8 girls have been talking about the concept that we are all like trees. We need to have our roots firmly grounded in family, school and a clear idea of who we are so that we have the strength to grow and change and stretch ourselves to achieve new things. During Term 2 each House Group has been busy practising their House Music songs based on a Disney theme. 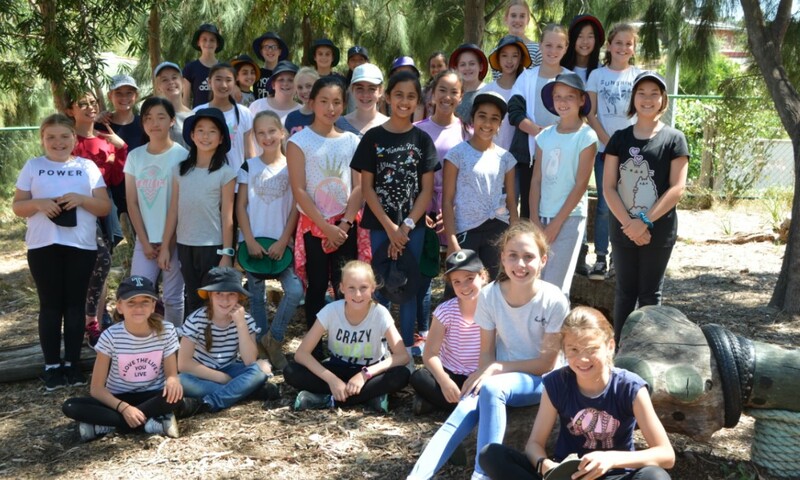 House competitions and activities add great life and energy to our school and are a wonderful opportunity for students to work with groups outside of their friendship and class groups. It also allows for interaction between students from different year levels and I’m really pleased to see the positive approach students have demonstrated towards these activities. Last weekend our wonderful Equestrian Team competed and hosted the Tintern Horse Trials at Wandin. Read about the event in Sport Matters. Many thanks both to the students and our parents for your enormous effort in making sure that the day ran smoothly and to such a high standard. Congratulations also to our Year 9 students who recently competed in the Horizon Academic Challenge Day and represented the school across many different challenges. Click here to see our outstanding results! I look forward to seeing many of you at our upcoming Jazz Night this Saturday 12 May. A random act of kindness can go a long way. I spoke to the Middle School boys this week in assembly about an experience of mine in Paris when I was travelling through Europe. I was at the end of my travels, strapped for cash, sleeping in a tent as my accommodation and consuming a very basic (but still delicious) diet. It was one of my last days of travel and I was sitting at a café enjoying a coffee when a conversation began between myself, a lady from America and a gentleman from Quebec in Canada. We talked of life, Paris, travelling, etc. To summarise, this gentleman took both myself and the American lady under his wing and gave us a 12-hour experience of Paris. This included a guided tour of the city, food with wine to match, music, plus much more. All the while I kept saying to him that I can’t afford this, I don’t have the money, etc. to which he eventually said to me that one day, when you’re in a position to do something for someone, make sure you do it. This has stuck with me forever – a simple act of kindness that had a very profound effect on me, my impression of Paris, and my impression of people in general. For teenage boys, looking past the end of their own nose is often a struggle, so to take a moment to think of others and look for ways to potentially provide an act of kindness to someone is really important. Our Year 8 boys have begun a pastoral program on Healthy Masculinity which will look at them as young men growing up and the expectations that society places on them. They will look at what is real, what is not, and the importance of acceptance and respect for everyone regardless of who they are. Our Year 9s have been discussing drugs and alcohol and the impact this can have on young bodies both physically and emotionally. 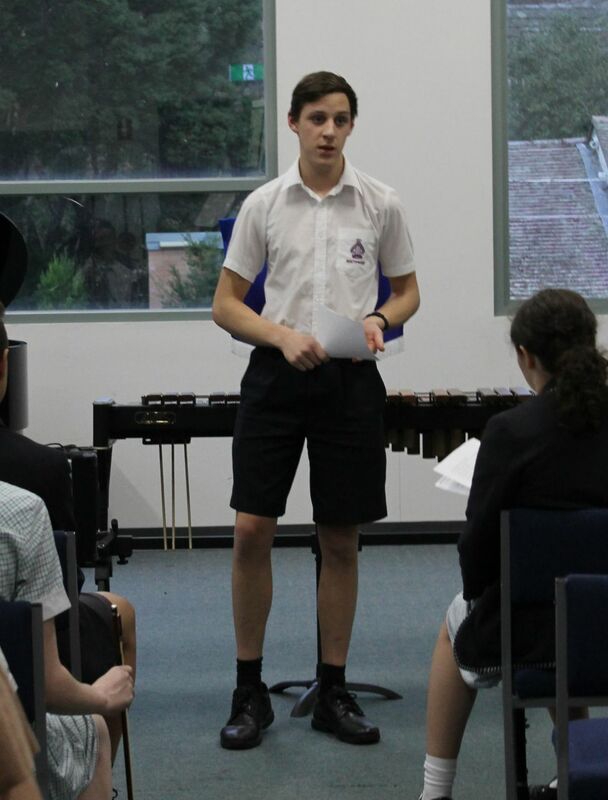 We were fortunate to have two of our Year 12 boys come back to talk to the boys about their experience in Year 9, 10, etc., and how they can now reflect on choices they made back then. All year levels are currently preparing for House Singing which is Disney themed this year, and it’s such an amazing thing to hear the humming, singing, etc. of these songs throughout the corridors of the building even long after practice is finished. We have our Annual Cathedral Service on Sunday 20 May at 2:30pm at St Paul’s Cathedral in the city. It is a wonderful service filled with reflection, prayer and beautiful music. It is a compulsory Secondary School event with the students required to be in full uniform including tie. 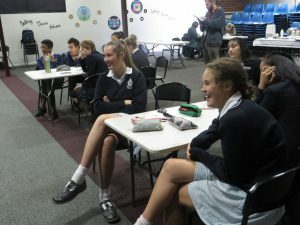 Each time a group of students participate in an Academic Challenge Day or a similar event, they come away buzzing having really enjoyed the experience. 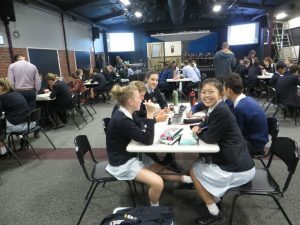 The same was true of the Year 9 students who were part of the teams competing in the recent Year 9 Academic Challenge Day. 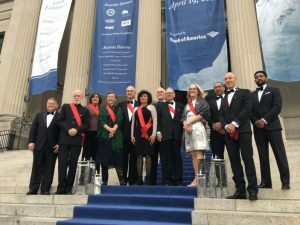 One level of challenge that is built into this day, in addition to the academic, is that students are in teams of eight, with six of the members being from other schools. 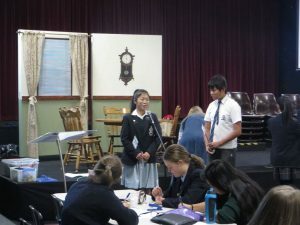 In addition to the traditional challenges such as Mathematics, English, Science and Art/Poetry, students also have the opportunity to participate in ‘Off the Cuff’ public speaking. This is yet another challenge that sets this challenge day apart from others. In this event, students have no time to prepare a 60-second talk on a topic given to them, and they then speak in front of all those attending – a different type of challenge in itself. This year, I am delighted that Holly Whitfield and Milly Kenny were in the team who won the Lego competition, Freya Bryson and Lydia Tan were in the team who won General Knowledge and Lego competitions. In addition to this, Zoe Liew and Sayani Kaluarachchi were part of the team who won overall! Congratulations to all those who attended and participated so well in their teams. 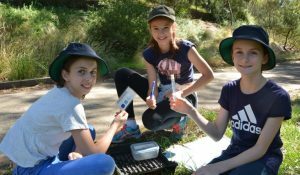 William Gillis, Charlie Johnson, Audrey Middleton and Jeremy Yuen-Love are currently participating in a Maroondah City Council initiated and run Student Wellbeing Action Team (SWAT) camp from Monday 7 to Wednesday 9 May. We look forward to supporting them with their chosen well-being initiative that will benefit the Tintern Grammar community. Thank you to all families/guardians who attended our feedback evening and the students were exceptional during the two hour testing in the morning. Students have now been given electronic access to the website at www.morrisby.com and they can access their reports electronically. Year 10s have been encouraged to save their initial report as they are exploring the different features during our pastoral sessions. This data will assist the Careers staff during the Year 10 Subject Choice Interviews that have commenced and will continue right through to early Term 3. On Monday the Year 11 students were introduced to the GAT. The structure, intent, and approach to it were covered by Tisha Eggleston in the CM Wood Centre. Over the next two weeks, students doing a VCE Unit 3/4 subject will be practising writing and multiple choice questions during their Utility sessions. Their responses will be externally marked and returned for review in the week before examinations. IB students will be given time to work on their subjects during these sessions. In other news… you should have received an email including the reply forms for the Year 11 Formal taking place on Friday 20 July. A prompt return of these forms will ensure we are able to accommodate all students and ensure the venue has accurate seating. 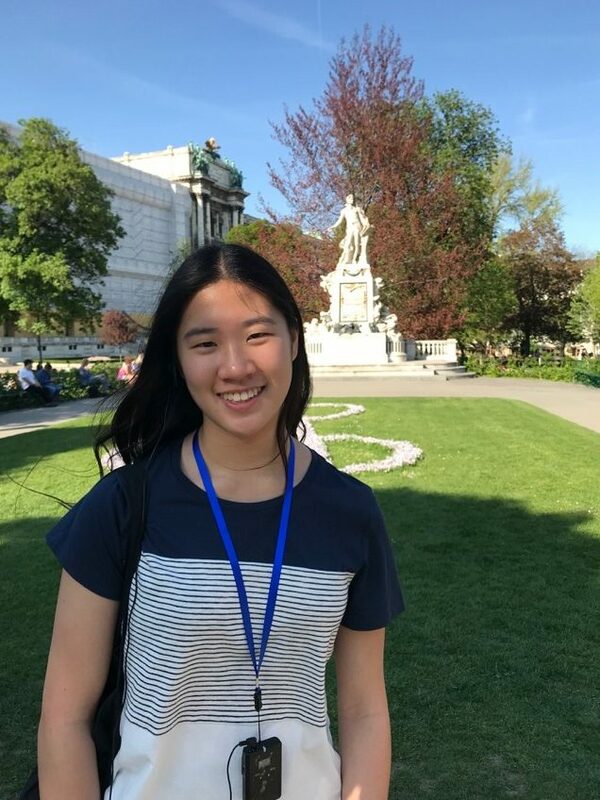 Additionally, if your family is hosting an exchange student who would like to attend the Formal, please just add their name to the reply with an acknowledgement of payment on their behalf. As the semester continues, it has been great to see so many Year 12 students making notable improvements in their study habits and making good use of the silent and group study spaces. We are in the throes of preparing for the GAT, which all Year 12 students must sit on Wednesday 13 June, from 9.15 to 1.30 pm. Please make a note of this date and avoid appointments. To give our students the best preparation we have hired a GAT examiner who will give brief feedback on the practice Writing papers that they will have the opportunity to complete in Utility periods. Preparations for the Year 12 formal are also now underway. No doubt, the discussion, planning and preparation for one of the year’s highlights has already begun. The night is a special one for Year 12 students so in order to allow plenty of time for preparation, students will be dismissed at 1:00pm on Friday 20 July. To ensure that the impact on important classes is minimised we do ask that all appointments be made after this time. All families should now have received information regarding the event. 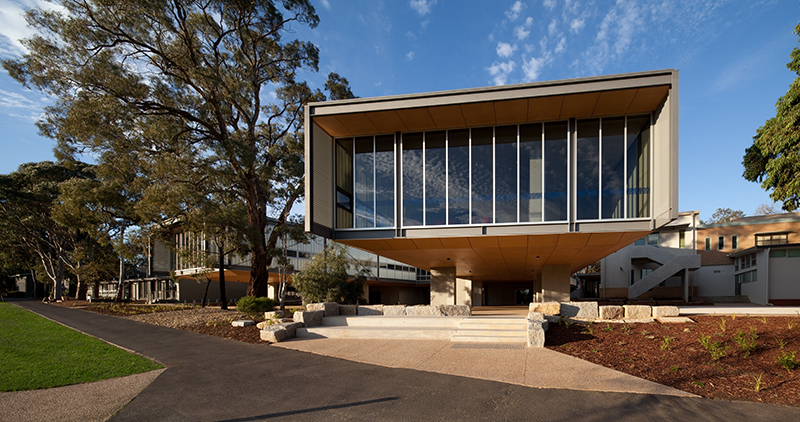 Please ensure that formal replies are returned to senior college reception before Friday 25 May. This evening is a wonderful opportunity to begin or further explore Career options further exploration of Careers and chat with past students who are working in Careers they love, studying their favourite subjects at University or TAFE, or taking time out to explore different career options and gain work experience. There will be the opportunity to spend time with our Alumni Career Mentors who share passions or may ignite new ones for our students. This event is ideal for Year 9 to 12 students and their parents/guardians, however, all secondary school students are welcome to attend. This year representatives from the tertiary sector will be in attendance including the University of Melbourne, Monash University, Deakin University, RMIT, Swinburne University, ACU, La Trobe University and Box Hill Institute. Year 12 students attended the VCE and Careers Expo on Friday 4 May and all students had the opportunity to attend seminars including Victoria Police Careers, ‘What do Bosses Want: Practical versus Theoretical Skills, ‘Getting into the Course of your Dreams’, Women in IT, ‘Finding a Career in the Design Arts’ and the opportunity to speak with representatives from the tertiary sector including interstate universities but also industry bodies including the Reserve Bank and the Australian Border Force. VCE students could also select from a range of revision lectures in subjects such as Mathematical Methods, Further Mathematics, Psychology, Business Management and Chemistry. Ms Ord spoke with Year 9 students about the Work Experience program that takes place in the last week of Term 2 in Year 10. She encouraged students to commence finding a placement now as organisations such as hospitals can be fully booked 12 months ahead. Year 9 families will also receive a letter from the school outlining the program from our Work Experience Co-ordinator Mrs Julie Ennor. 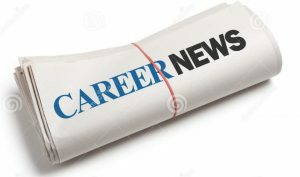 The latest editions of Career News Number 10 and 11 are now available on the Portal at: http://portal.tintern.vic.edu.au/homepage/14962/ and includes the following items that are of interest to the entire school community. 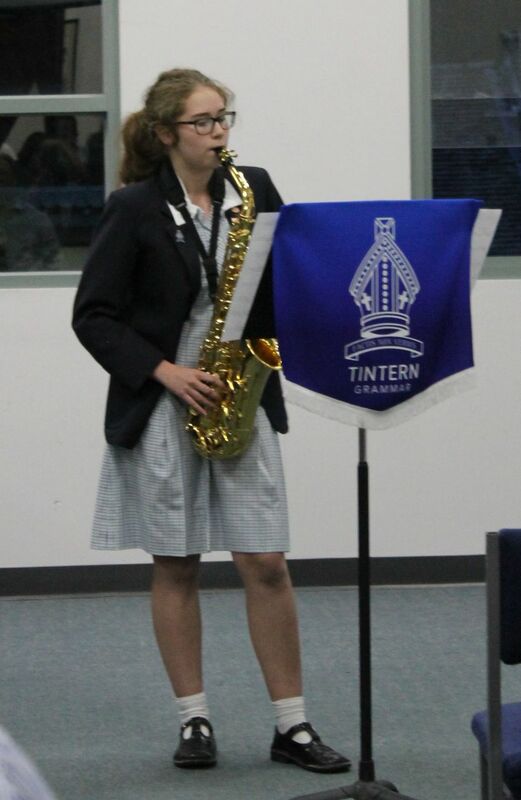 At Tintern Grammar, we endeavour to provide a range of events that our families enjoy attending. It would be very helpful to the School and parent groups if we could please have a couple of minutes of your time to complete this survey so we can work together to create the best events for our school community. I have formed a new group called the Gay-Straight Alliance, or GSA for short. The first GSAs were started in the 1980’s in American schools. 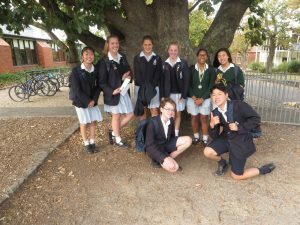 They are student-led groups overseen by a responsible teacher, which Ms Tillyer has kindly agreed to do. The intention of every GSA is to provide a safe and supportive environment for LGBT+ students (or those who are perceived as such) and their straight allies. The GSA is a safe space to talk about LGBT+ issues and learn about the community and the people within it. We will be meeting lunchtime every day 5, which is a Friday, in N003, which is upstairs in the Year 9 area. The GSA is open to everyone from all year levels. The Visual Art & Design Department offers a warm invitation to the Visual Art Gallery space to enjoy the works from Year 7 to 11 students from classes in semester 2, 2017 and semester 1, 2018. Each year, the students amaze us with their creative thinking and enthusiastic approaches to making and creating visual pieces, in a variety of forms, exploring a range of themes and concepts. From woodwork to 3D printing, textiles, computer generated design, painting, photography, drawing, sculpture, printmaking and visual communication work just to name a few. The exhibition is an opportunity for students to showcase their efforts and wonderful final pieces, sharing their insights and skills developed over the past 12 months. Please join us to view this ‘visual feast for the eyes’. Also, we have more exciting news! 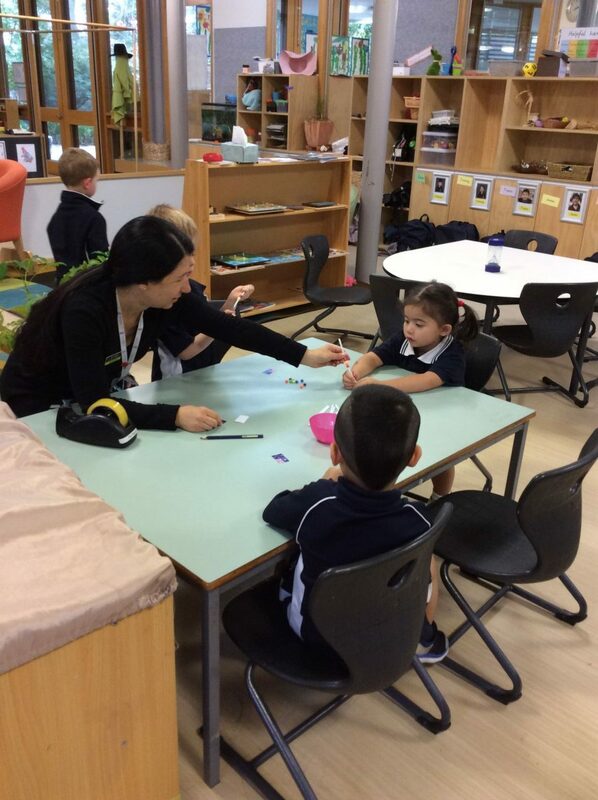 In our Visual Art & Design Department, the staff have a wealth of skills and knowledge we share with the students on a daily basis which assists them in the creation of their work. We then ask our students to be particularly brave and display their work in our exhibition space. It is now time for the staff to be brave. So we would like to announce the inaugural Tintern Grammar Visual Art & Design Staff Exhibition 2018. From Monday 5 June until Friday 24 June each member of the Visual Art & Design Department will have an allocated space in the display wall next to the Visual Art & Design Art office, featuring works they have created. Accompanying the works will be information explaining the process, inspiration and use of materials. Please come and view the variety of pieces on display and feel free to discuss the works with the artists! We look forward to seeing you in the exhibition space soon. 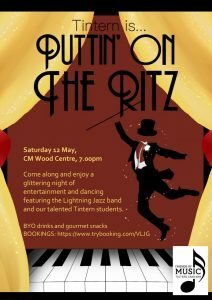 Join us for Jazz Night – Saturday 12 May! 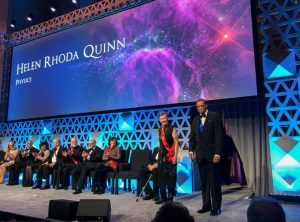 Helen Quinn AO (YG 1959) named the 2018 Benjamin Franklin Medal in Physics Recipient! Congratulations to alumna Avenue of Excellence inductee Professor Emerita Helen Quinn AO (Arnold) (YG 1959) who was named the 2018 Franklin Institute recipient of the Benjamin Franklin Medal in Physics at an awards ceremony and dinner at The Franklin Institute held in Philadelphia in April. 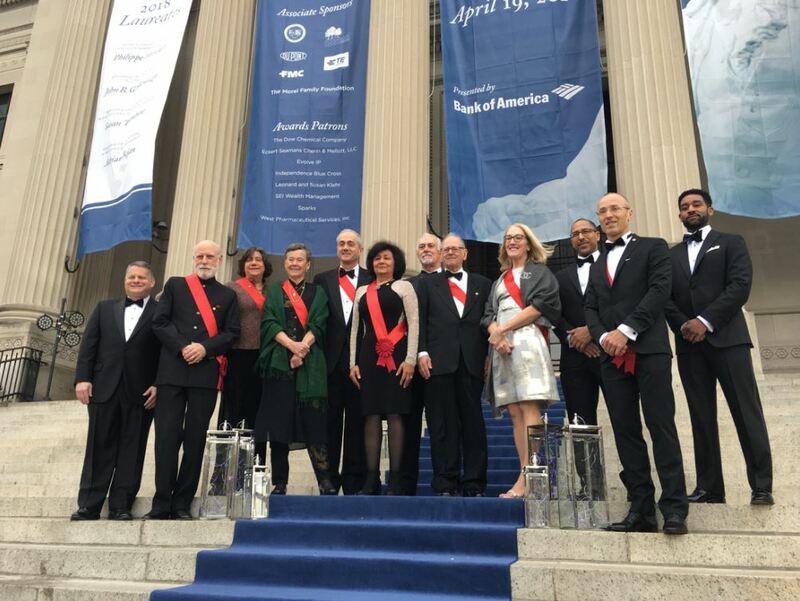 Receiving the Benjamin Franklin Medal in Physics is a wonderful acknowledgement of Helen’s pioneering contributions to the industry and dedication to her work. Congratulations again Helen!